I've had a really sick cat. (But he might be getting better.) And I'm not beyond being a little superstitious, even when it's a bit silly. 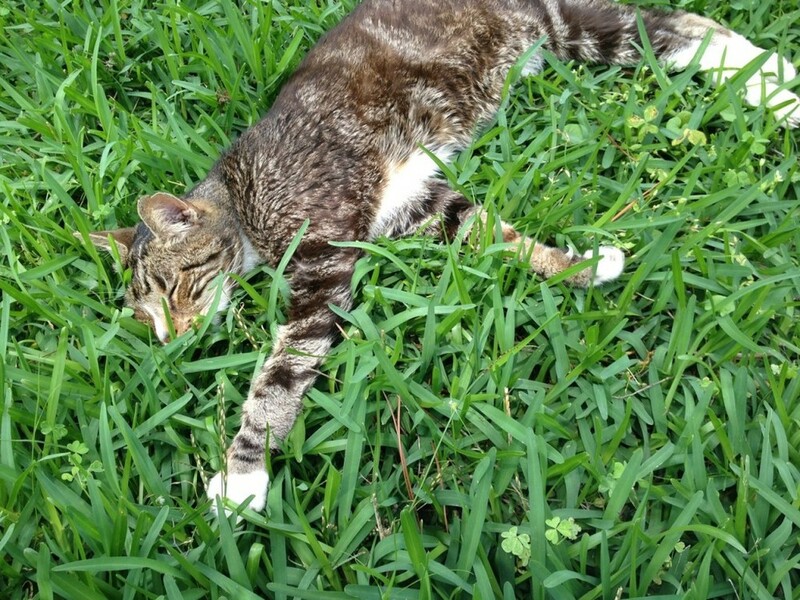 So today, when we got home from the vet, he went out to rest in the grass and I decided to join him as I often do. Grass time is always important. 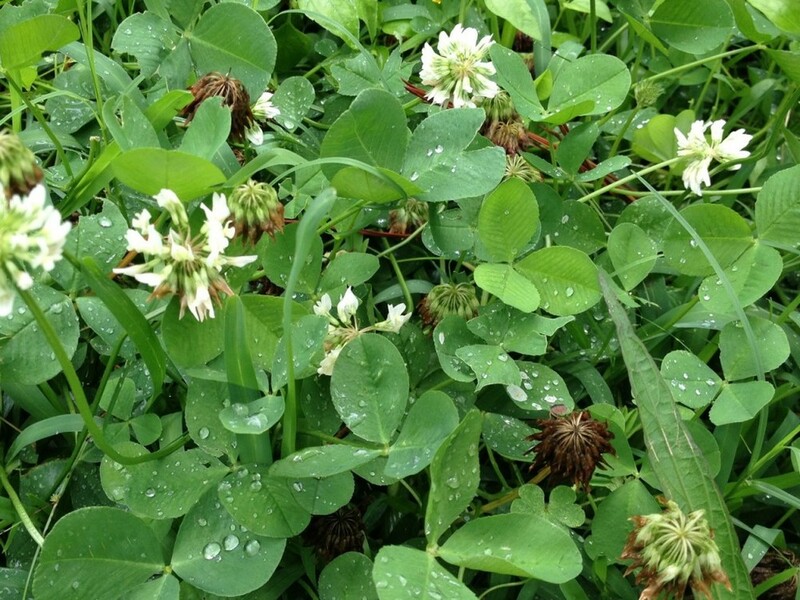 And while I was sitting there, amidst the clover, I thought I'd search for a four-leafed clover. They're not as uncommon as you might think, and I thought finding one could be a sign. Something to comfort me. To convince me that everything would be ok, and that Buster isn't on his ninth life just quite yet. One like this one I found in about two minutes a month or so ago. So I ruffled through the leaves, gazed past all the three-leafed clovers, looking for my prize. And then something happened. I got caught up in how pretty the raindrops looked on the leaves. I ruminated about the cycle of life, right there before me, in fresh clover flowers and ones that had already browned and gone to seed. I noticed how many shades of green there are, just in clover leaves. And I realized I didn't need to find a four-leafed clover today. I already had my prize. How often in life do we skip over all the beautiful everyday moments - the three-leafed clovers- while we're waiting and searching, anticipating our prize - a big event, a vacation, something major to look forward to? It's fascinating, isn't it? How would life be different if we did a better job of noticing three-leafed clovers? All the small miracles - all the beauty and magic that surrounds us. How many millions of three-leafed clover moments are there - ready to be savored and appreciated? What three-leafed clover moments have you noticed lately? I would love to hear about them. Share yours in the comments, if you like. P. S. As I wrap up this post much later in the evening, I'm happy to report that the sweet cat has indeed revived, yet again. And I am savoring every 3-leafed moment with him.